Gym Shark is one of the world’s fastest growing ecommerce brands. 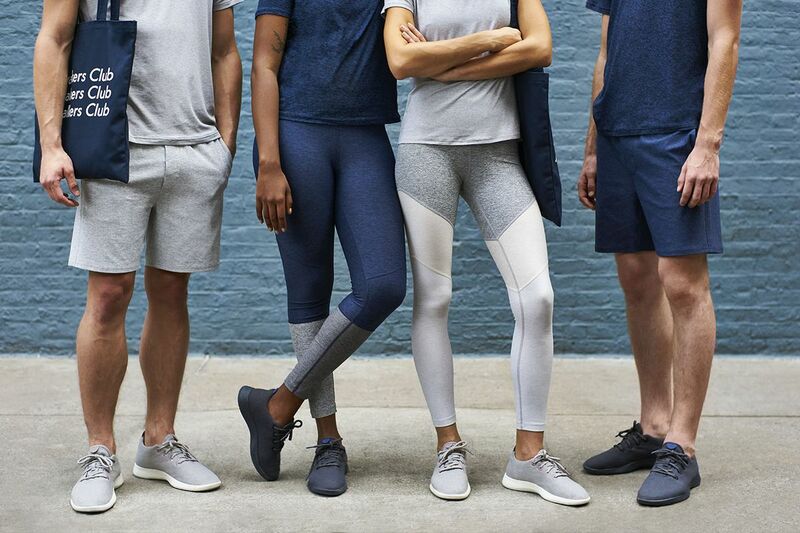 Since launching in 2012, the brand have amassed an incredible social media following which has fueled over $100 million in sales. If you’re looking to find out how Gym Shark became the world’s fastest growing fitness brand, read on. The story starts with Ben Francis, a entrepreneur at heart who was always eager to create new products. He started off selling license plates online and was soon developing iPhone apps. In June 2012, he launched GymShark.com. Ben was a full time university student, yet had an aesthetic he wanted to fill. In between his studies and job delivering pizzas, he’d either be in the gym or working on Gym Shark. The site actually started by selling supplements, where they’d drop ship from other retailers. As Ben says, “You have to be creative with the front end and back end of your business when starting.” At the time in 2012, Ben didn’t have any more so couldn’t afford to hold inventory. That’s why they started drop shipping. Once Ben had made some money from drop shipping, they spent everything they had on a screen printer and sewing machine. Their clothes were longer, stretchier, and fit better than anything else they saw on the market. 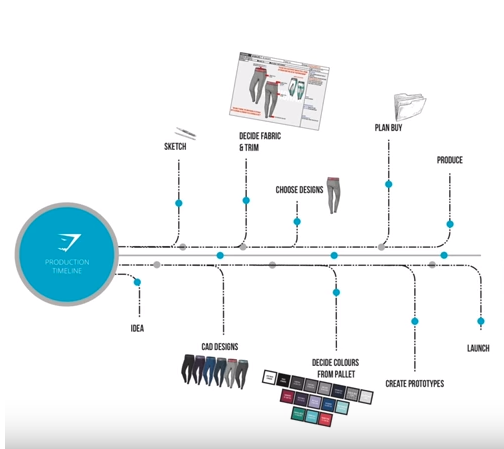 At this stage, every single Gym Shark product was custom made, as Ben spent hours sewing each shirt. While he was preparing for the upcoming show, Ben kept an eye on Youtube fitness celebrities like Scott Herman and Scooby. As massive fans, Ben decided to send them all some Gym Shark product. Lex Griffin was the first one to become a Gym Shark athlete. At the time, no one else was really doing this in ecommerce but it’s now what we call influencer marketing. At the end of 2012, Ben and his team started developing the Luxe fitted tracksuit. This product was what spiked Gym Shark’s growth. The minimum order quantity of this tracksuit was so high that they had to put everything they had into inventory. It was the first time Gym Shark didn’t have to hand make their products and actually used an official manufacturer. 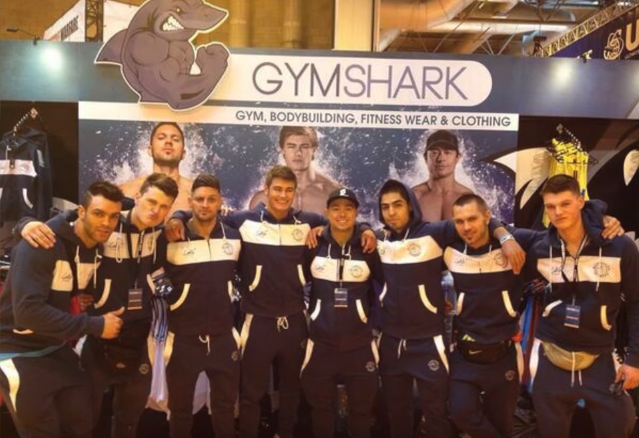 With this product in hand and some inventory, the Gym Shark team now headed off to the BodyPower expo that they had bought a booth at earlier in 2012. 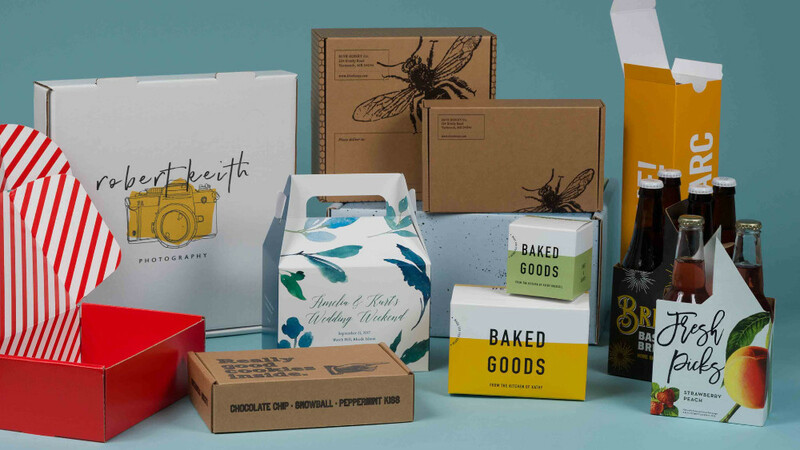 When they got back from the tradeshow, Ben put up more stock, as they’d made most their products out of stock online to focus on managing the tradeshow. As soon as they put stock back online, things went nuts. Within the first 30 minutes, they had more traffic and more sales than they had the previous year. Now it was time to scale. In 2013, Gym Shark did about $500,000 in sales. 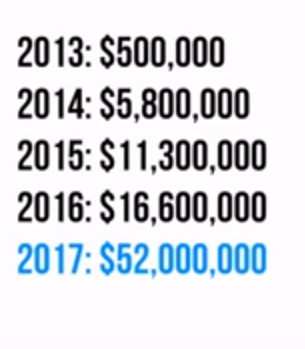 By the end of 2017, Gym Shark did $52 million that year alone. For any business, rapid growth will cause pains and in Gym Shark’s case, this has caused massive inventory issues. You see when you’re starting a business and producing products overseas, you’re typically going to have to pay for inventory 100% upfront (usually on a 30% down to start production and 70% before shipment basis). With a limited sales history, forcasting sales for each product is always a challenge and when you have to manage cash flows, you don’t want to put too much of it in inventory. For Gym Shark, this means balancing their books with growth by only manufacturing what they think they’ll sell. In almost every case, Gym Shark has been able to sell out of it’s products, which in turn fuels demand. As they’ve grown, they’ve gotten better payment terms with their factories and can work on a letter of credit basis. Regardless, managing $100 million in sales is always a challenge, especially for Gym Shark as they only sell their products directly through their website. This direct to consumer approach is what has fueled major ecommerce brands like MVMT Watches, that grew from the uptick of consumers willing to purchase online. From the get go, Gym Shark started on Shopify and soon transitioned to the Shopify Plus platform as their rapid growth continued. What sets Gym Shark’s back end strategy apart is they sell and ship every product. Most ecommerce brands will work with third party logistics companies, yet Gym Shark decided to invest in their own warehousing to control the whole supply chain. This only makes sense if you’re looking to compete with the major brands of the world like Nike. For the majority of ecommerce companies, working with a third party logistics company will make the most sense, as shipping isn’t a core focus of your business. Like many of today’s fastest growing ecommerce brands, Gym Shark’s growth has largely in part been fueled by social media. If you look at their Facebook, Instagram, or Pinterests page, it’s made up of amazing content. This content is often created by Gym Shark athletes, who have not only fueled this brand’s growth but also created some amazing content for them to utilize. Recently, Gym Shark has further invested in their influencers, as they’ve created designated lines for them like Nikki Blackketter full line of fitness apparel. This enables them to further connect with a influencer’s followers while increasing conversions from their social traffic. Since this influencer strategy is relatively saturated in today’s world of online marketing, as you start and grow your own ecommerce brand you’re going to want to find other avenues of growth. Though social media will always be important to a brand, you’re going to have a more challenging time growing your social following today compared to a few years ago. This change stems from algorithms on Facebook and Instagram. When you used to post on these social media platforms, a vast majority of your followers would see your posts. Now when you post, you’re lucky if 3% see it on Facebook. To spark social media growth in today’s world, you’re going to have to look ahead at other ways to grow. Some ideas could be joint giveaways, video stories, live events, and more. From it’s core, Gym Shark has always been a brand looking to engage face to face with it’s customers. After a few years attending tradeshows, the Gym Shark team realized this was not the best avenue to great these in-person experiences. They stopped doing tradeshows and instead transitioned to creating their own pop up shops. These shops enable Gym Shark to create similar experiences like they used to at tradeshows, while bringing in their awesome team of athletes to meet face-to-face with their fans. The last pop up shop they had was in LA to showcase the launch of their new Nikki Blackketter line. For a early stage ecommerce store, pop up shops may not be the best avenue to explore growth. With that said, if you can take part in a larger event as a brand, you have a much higher shot of making a impact with your brand. For example, Patara Shoes, a lifestyle brand based out of San Diego, attends farmers markets with a booth around the San Diego to interact with potential customers in person. While this isn’t the most scalable way to growth, it does count towards your long term goal of creating a global ecommerce brand. At the end of the day, most of the world’s fastest growing ecommerce brands are fueled by similar tools. Though you need to create your own brand and designs, the back end systems that scale are often similar. Manufacturing or sourcing product: Sourcify is the fastest and most effective way to bring a new product to life or cut manufacturing costs. Setting up your online store: Shopify or BigCommerce are the easiest ways to start a online store to start selling products directly to your customers. Running online ads: Storeya is a great tool to help you effectively manage your ad spend and convert more traffic into paid customers. Organic traffic: I like SEMrush, as I can easily see what competitors are ranking for and see how my site is moving up the ranks for certain keywords. Email: There is a battle on this one between Mailchimp and Klaviyo. Both have robust platforms that can kickass when it comes to email marketing. Email Popups: There are tons of email popup software that will help grow your mailing list. Some good ones are Privy, Better Box, and Wheelio. Sell across channels: If your online store is scaling up and you want to sell across channels, use Skubana. Optimize your store: Use Optimizely which makes A/B testing easy. If you don’t have a budget, just plug in Google Optimize which has become just as robust. Shipping: There are tools like Shippo, which integrates your Shopify orders and allows you to print labels with one click, but that becomes more of a tool you use on the backend. Returns: Returnly makes it super easy to turn returns into repurchases. Returnly fronts consumers their money in the form of an online wallet that can be used for repurchases from the same brand. The one thing you need to be aware of with tools is that they won’t make your ecommerce store a success. Though they can help you get there, you shouldn’t be overloading your website with tools. Instead, you should focus on growing a brand and connecting with the right customer audiences. Ben Francis didn’t imagine how big Gym Shark could get. He put in the work from the ground floor and pushed it forward to grow year after year. Now, Gym Shark has become one of the most recognized brands in the fitness industry and is starting to compete with Nike. If you’ve got a dream, it’s time for you to start taking actions towards making it a reality. Articles like these can help give you the insight and needed inspiration, but won’t do the work for you. What are you waiting for? There are billions of people in the world and I’m sure some of them will want to purchase the products you’re looking to create, get started now!